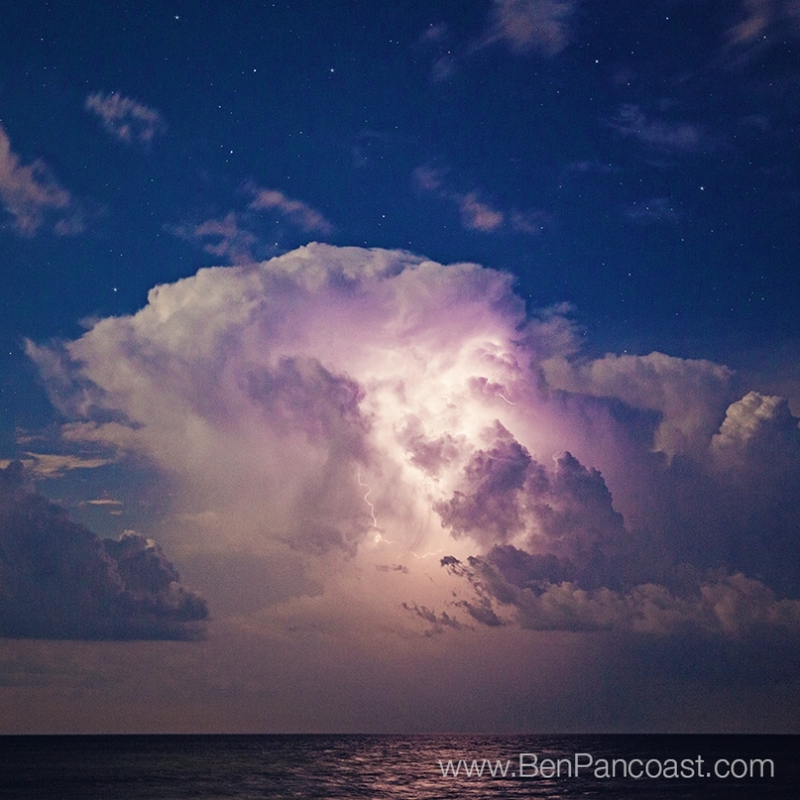 Summer storms were building over Lake Michigan on this starry night so I went out with a friend to shoot the lightning. We were mostly focused on a much larger storm to the north when I happened to notice this isolated thunder head building to the west surrounded by a starry sky. This is the only photo where I managed to capture both the lighting and the stars in one image.